Blown in polypropylene, this pot is used for making leclanche cell. This pot too has very good contact clarity & excellent chemical resistance. 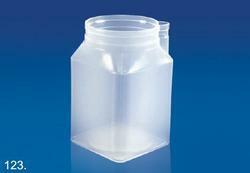 Blown in Polypropylene, this Pot is used for making Leclanche Cell. This Pot too has very good contact clarity excellent chemical resistance. Fostered with rich industry experience and a highly experienced team of professionals, we are offering Leclanche Cell. The offered leclanche cell consists of a zinc rod of 12.5mm diameter and a charged porous pot 150 × 60 mm (height × diameter), with terminals. Output Voltage: 1.5 Volts D.C.
We deal with all type of Physic instruments, just send your quotation at our email id and get and estimate within 24 hours. We are a well-reckoned Manufacturer of high quality Leclanche Cell usual and electronics. Leclanche Cell, available with us, are made with top quality materials that make sure that they show flawless performance. 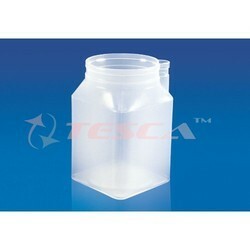 Leclanche Cell that we offer are widely demanded for various school lab experiments. Avail Leclanche Cell from us at very reasonable prices. Electricity-cells-leclanche cell- it consists of 2 pint size complete with charged porous pot with screw terminal zinc rod with wire connector, glass jar/plastic jar, standard quality.